Do you sometimes feel like you have reached the lowest point in your life? Are you struggling to find a way to look forward to the future or even tomorrow? There is Hope! Many of us face challenges in life where we believe that we have reached the end and there is little point carrying on. Sometimes there just seems like there is no way to get past the obstacles that are in front of you. But that isn’t always the case. 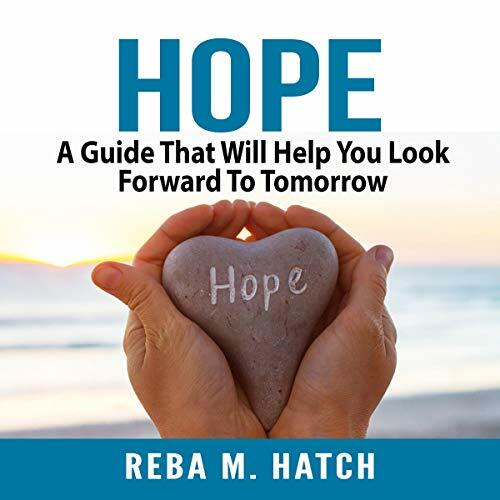 With this audiobook, Hope: A Guide That Will Help You Look Forward to Tomorrow, you can begin to find some optimism that the future can indeed hold some prospects. There is always hope when you know where to look for it, or you see how others have managed to work their way past seemingly insurmountable problems. With Hope: A Guide That Will Help You Look Forward to Tomorrow, you will find new ways to navigate through them. Reader ruined whatever might have been of value in this. Read so fast that I finally re-set the speed to .75. Her voice was actually at a tone that was painful to me. I’m not one who discriminates against female narrators. This was just beyond what I could take. Sappy tone of voice. As if she were speaking to a young child. I was interested in the topic but can’t finish this.